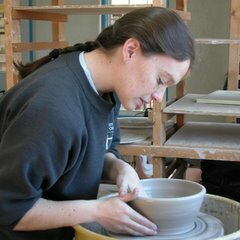 And I finished a project too. These socks were my holiday travel knitting. Pattern is improvised, four stitch cables alternating 4 and 6 rows between twists. 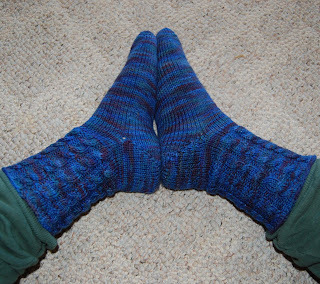 It's really nice to make socks with worsted weight yarn, they go so quickly! I love this book so far, it's fun to do something different and the techniques are so logical. 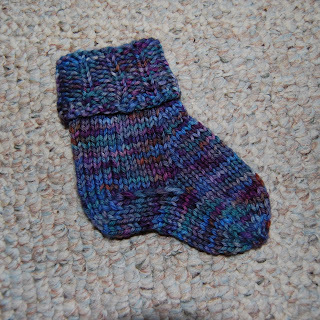 The second sock is almost done and they'll fit the boy fine. I love seeing Happy Baby pictures when I check your blog. (The socks are lovely too, of course!) He's getting so big! Thanks for sharing the milestones.